Restoration / Re: Smog tube nuts replacement source? I sent my smog tubes to Jerry MacNeish who restored them back to perfection (stripped nuts, straightened the bends, new olive plating). Turned out great! This may be a dumb question. But couldn't you just remove the tank from the car, empty the gasoline out, and put some kind of a diaper on the tank so you could transport it to someone who could remove the paper from the tank? it may cost more money to attempt this path, but a new gas tank is also gonna cost money. I would think a paper restoration service sees al kinds of situations and could undertake removing the sheet from the tank and keeping both intact as much as possible? Agree - it's worth asking the document preservation expert. In my case, I brought the whole tank down for her to inspect but she did not have the facilities to deal with a whole gas tank. But her work was outstanding so worth the compromise. Restoration and preservation would be key if we can get it off the tank. It is stuck hard and extremely brittle. If we can salvage the little bits of paper then we might be able to send it out for restoration part. It's how to get it off the tank in large enough pieces that is vexing us now. How important is it to save the gas tank vs the build sheet? For mine, the build sheet was glued on to the point there was no way I could remove it without destroying it. So in my case, I concluded it was more important to save the build sheet then the gas tank and cut the tank to remove the buildsheet, metal attached. 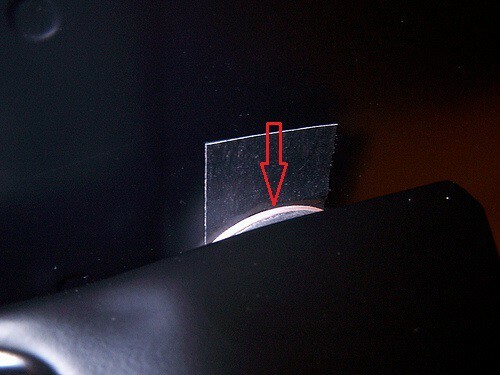 Thereafter, the document restoration expert used the proper chemicals, preservation techniques to remove the paper from the metal. You could always re-weld the metal back to the tank after the professional removes the paper work from the metal. Restoration / Re: Parking Brake Frame Guide Bar Finish? Interesting responses - appreciate it! For the Parking Brake Equalizer and Connectors, I assumed/concluded clear zinc/silver cad based on observations of the pieces, but not 100% sure as I've seen some Equalizers painted black. For the Parking Brake Frame Guide - I wasn't able to discern much, but leaning still sorta leaning towards natural steel finish. I think we can conclude painted black is probably out. Regarding the Olive finish - other than clips, the only other component I can think of are the smog tubes. What is the benefit of the Olive Passivation and why would GM apply that finish to the Parking Brake Frame Guide? Does it offer additional protection properties? Restoration / Parking Brake Frame Guide Bar Finish? Does anyone know what the correct finish is for the Parking Brake Frame Guide Bar? Mine had surface rust so I can really determine the original finish. I’m leaning towards phosphate, but not sure. Interesting Bob & Hans....I looked (and even used a bore scope to get real close) and found no part numbers on my 67 04B LOS. Unless they weren't very pronounced and the cracking makes them impossible to make out. 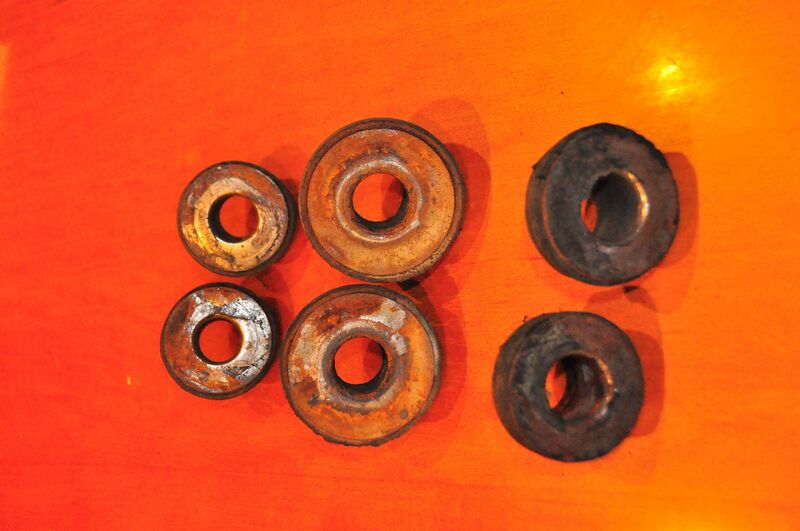 I did find a few NOS bushings in the shed and they do have P/N's on them. Same. I washed them, hoping the water would bring out tell tale signs of PN's. Took photos, zoomed in, played with contrast/lighting and found nothing. Only the front radiator bushings had discernible PN's and all the lower cushions had PN's (and as they were in decent shape, re-installed them as the NOS font style was quite different than the originals). Very informative topic and had no idea there was sound deadener in the trunk for cars w/Deluxe Interiors. Much appreciated! I laid out the sound deadener in the interior of the car over the weekend and the current kits sold do not provide material for the tunnel. I'm assuming only Deluxe Interior cars received extra sound deadener that covered the tunnel, or? It appears the material on the tunnel may not have had insulation pad, just Asphaltic Mastic only. Hans, here is a photo of the interior of Mike P's Norwood 11C X11 car (6cyl, Turbo 350) with standard blue (715) interior - perfect original floors - after we stripped it in 2012. You can see there is no sound deadener on the trans tunnel. Interesting and thanks for posting Lloyd! So it appears standard interior cars did not receive insulation over the tunnel. Did Mike's car have insulation that went partially up the firewall as well as in the picture above it only appears to cover the floor boards? 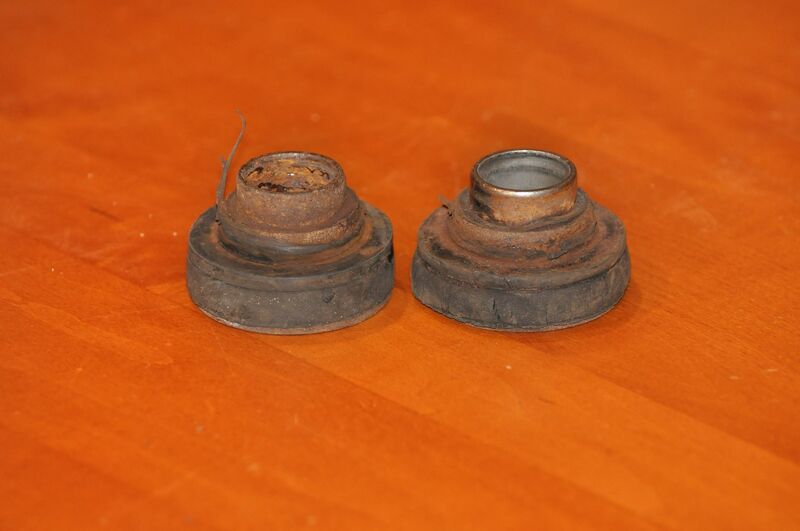 Well, nothing conclusive, but here's the body mount bushings I removed from my '69 04B LA Built Z. 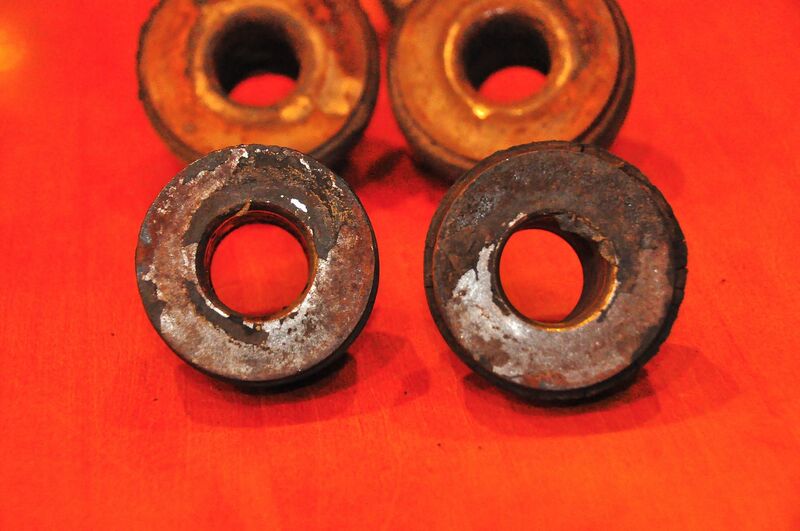 All have integrated washers but unfortunately, no signs of part numbers left as they appear to have corroded/cracked away. 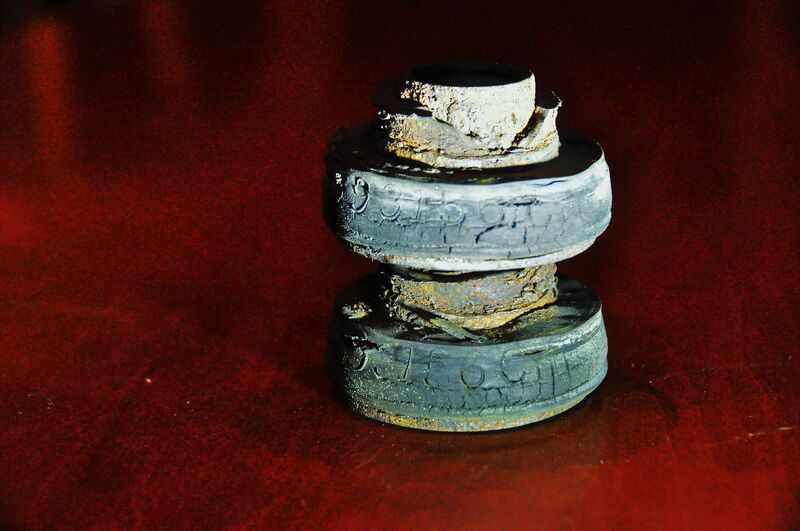 But with that, upon closer inspection, I believe there are hints of body tape remnants left on the #3 bushings. While possible, I have no reason to believe the body bushings were replaced - the lower cushions all had legible part numbers and correct per the AIM. Chick I couldn't help but notice the bushing in your photo appears to have the integrated washer which would be the 3928380 instead of the 3901361 bushing or is that camera flash? Dang it Lloyd now you ruined my new Year..... LOL I'm not sure how that has happened as I'm confident I had all my biscuits and donuts all lined up by part # for the sub-frame as the owner I purchased the car from had already bought them and I checked all those against the AIM but it sure would look like I must have screwed up and will have to examine that. Chick - Well - appears you had the right body mount bushing here: http://www.camaros.org/forum/index.php?topic=7497.0. 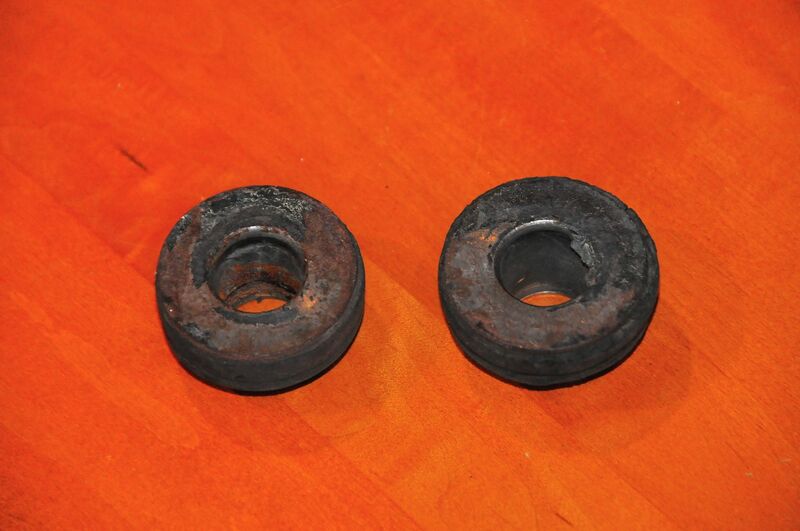 Hans, none of the factory installed 3901361 bushings I have seen use an integrated washer, it might be a later service replacement bushing that Chick has and, as we have seen frequently, NOS / service replacement and assembly line original, are often different. Interesting. I'll check the originals I removed from the car and confirm. I installed the older NOS version recently. I assume you can't remove the integrated washer? Can we confirm if the mastic pads were the same all 3 years and between dlx and std interiors? I think they basically are the same as the pic John posted, but the fronts in 68 and 69 don't have that notch removed. Any other differences? 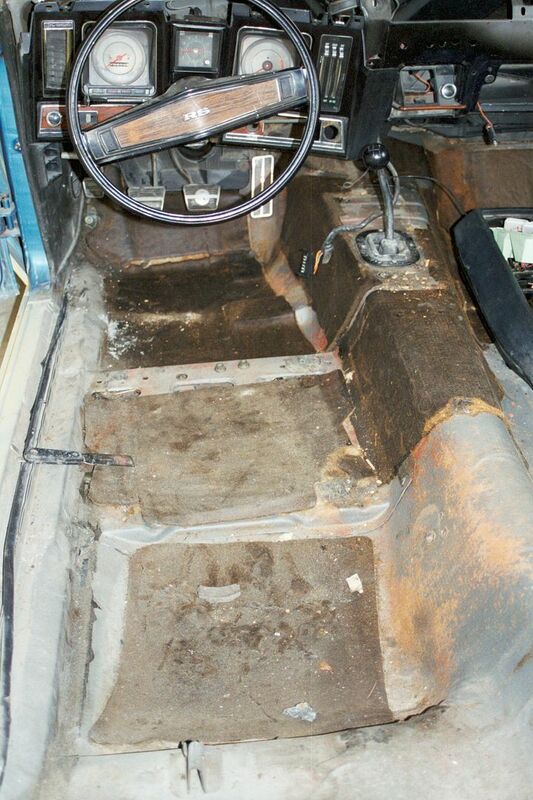 I have a pic of FlowJoe's Firebird floor and it has mastic all down the tunnel and nothing under the front seats, btw. Based on the two variations of the padding images posted, it appears Deluxe Interiors also included padding around the tunnel while Standard Interiors did not - correct, or? Also, per Kurt's comment, it appears in '69 the notch area remained while earlier models did not have this piece. And assuming the Build Sheet is from the car, has E70 15's....CZ Alternator, YF Rear Springs....65 65 paint code. All seems like a legit LA built Z. So appears it's been repainted. Olympic Gold originally. I remember reading about this some years ago, but found no signs of tape when I removed the subframe from my '69 LA built Camaro. Does anyone know if by chance the LA plant in '69 may have removed the tape prior to attaching the subframe? Good news I was planning on attaching the subframe in the next few days...still time to add the tape.